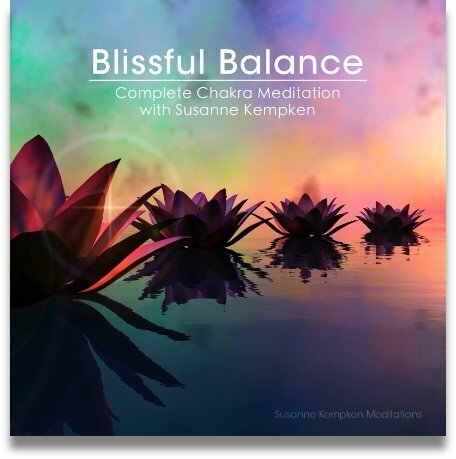 This soothing meditation experience uses deeply relaxing music with theta frequencies and positive affirmations to help you relax, balance your throat chakra and strengthen your natural ability to express yourself fearlessly and with love. 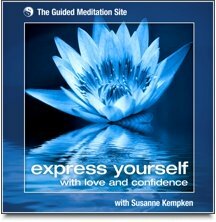 Express Yourself With Love And Confidence is the third album in a series of chakra meditations by Susanne Kempken. 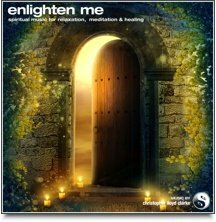 This relaxing but powerful meditation experience uses meaningful positive messages and soothing music to help you relax, balance your throat chakra and develop your ability to express yourself with a natural, easy confidence, while still being loving and kind. After a short guided relaxation to ready your body and mind for a deep state of relaxed receptivity, you will experience profound and easy to understand positive affirmations to strengthen and balance your throat chakra. You will get in touch with that part of you that is already a powerful communicator, the part of you that finds it easy to listen, and has the patience to give equal time to speaking and listening. Find joy in expressing yourself creatively and most of all learn to fully 'Express Yourself with Love and Confidence'. 'Your voice is necessary' - a simple, but important truth that needs to be understood on the deepest level and claimed as your own. Become an excellent communicator. Express yourself fearlessly and with love. Be a great listener, one that is appreciated by others. Be creative and find a new freedom to express yourself fully with confidence and love. Get that powerful voice to bravely ask for what you want. Be heard. Find freedom and joy in your expression, and connect to your inner self to speak your truth. These are just some of the qualities of a healthy and balanced throat chakra. In all of my research there was one thing that really resonated with me on the deepest level, a simple truth that really made me stop and think - 'Your voice is necessary'. Such a simple, but important truth that needs to be understood on the deepest level and then claimed as your own...it's also a wonderful confidence booster if ever I've heard one. If your throat chakra is unbalanced it affects so much of your everyday life. Just think about how much time you spend on average interacting with other people. Are these interactions easy for you or does it take a little effort? Is it easy for you to be heard or do you have to push harder than others to make sure your voice isn't drowned out. Or maybe you are someone who can't seem to stop talking no matter how hard you try. So much of your energy can be wasted through mindless chatter and you end up feeling tired instead of inspired. Not to mention that your attention span for listening goes right out the window. Listening is actually a very important aspect of the throat chakra. And even if you are balanced in your speaking and listening ability, how much time do you spend second guessing what you said today or how you said it. Having confidence in your voice, your speech does not come naturally to everyone. So often your confidence and your natural ability to express yourself powerfully, while being loving and kind, is restricted due to negative experiences during childhood. And for all of you who enjoy the creating and manifesting part of your life, just remember that having a powerful mind isn't quite enough; you need a powerful voice to ask for what you want. Express Yourself with Love and Confidence is a meditation of special importance to me. Creating it forced me to dig deep, which isn't always pleasant as you probably know. It was a challenging experience, an interesting journey that has provided me with a lot of insight and deep healing, and I genuinely hope that listening to this meditation will encourage the same healing in you. 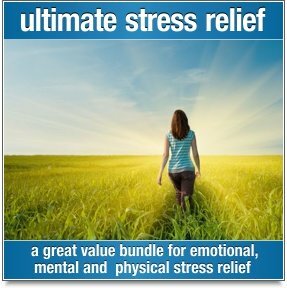 This recording includes theta frequencies to encourage a very deep state of relaxation. It is best experienced with headphones. Listen at a quiet volume with your eyes closed and enjoy! Listening to Express Yourself With Love and Confidence should be an effortless and relaxing experience. Susanne recommends that you simply allow her words and messages to flow through you as you listen, and feel free to fall asleep. Never listen to this recording while driving or operating heavy equipment.